Freeplay: Young children have a chance to play and socialize with other children their age. Craft: We usually end with a special craft or activity. For infants to preschool age. 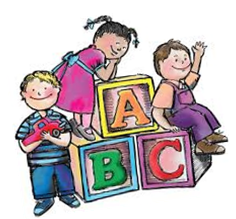 Freeplay and Storytime helps children with various early learning skills. Freeplay allows children to explore and learn through play, a natural way for young children to learn, and work on social skills such as sharing. Storytime encourages the love of reading, exposes children to larger vocabulary, and teaches school readiness skills such as paying attention and taking turns. Sponsored by of The Carbondale Public Library as part of the PA Forward initiative promoting the value of libraries in the 21st Century.